Full stack developer with over 5 years of experience in web development . I am fluent in English and Hindi and good at interpersonal skills and communication. Choosing a freelancer to be in control of my entire, brand new website took a lot of relinquishing control and giving trust but I needn't have worried - Poornima was professional, very responsive, patient and very good at the actual development! I have been back with tweaks/questions/support over the last few weeks and every time, Poornima has resolved any issues for me. 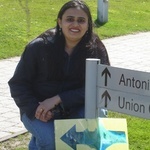 Using Umbraco was relatively easy for me as I'd used it a number of times in the past (which is why I've come back to it - I wouldn't use any other) but Poornima had structured the content in an easy to use format and I love the speed of the publishing updates, the flexibility it gives and the support it offers. Umbraco is a sophisticated but straightforward to use CMS and is great on more complex sites. I would always recommend Poornima's work. I had the opportunity to engage Poornima for a complex piece of work, requiring major change and extension to Umbraco code base. She did a fantastic job and required very less testing to validate and integrate. Highly recommend Poornima for any complex work. She is an excellent communicator gets good quality work completed within agreed timeframes /cost. Highly professional engagement from the beginning and along the way delivered required product with all possible relevant information to take over. Another quality job from Poornima. She is an excellent communicator and understands Umbraco really well.